After my appointment with the, radiation oncologist I attended a class about nutrition during cancer treatment. I will have to stop taking certain supplements and vitamins because they will interfere with the action of chemo. Those substances include mainly extra antioxidants. The instructor, a Mayo Clinic dietitian, had a whole slide committed to sugar and cancer. This slide stated that sugar does not cause cancer growth. 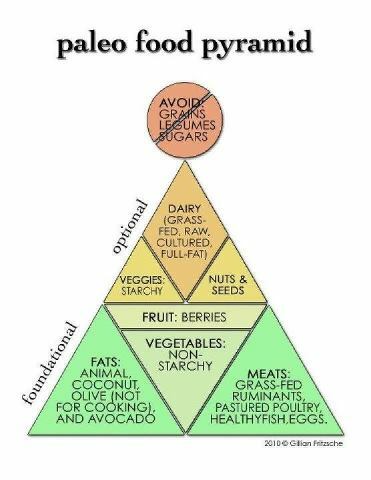 No studies have supported any side of the argument so I still plan to maintain a low carb, semi-paleo diet (see above plaeo pyramid) during treatment and have my AdvoCare protein shakes. Next, I stopped by the Erickson Skin and Hair Care Center to get a dressier hat or scarf than my TriRochester hat. Then I went for lunch but I forgot my wallet so I had my mother drop it off. By the time she got there, all I had time before my next appointment for was Jimmy Johns. At my next appointment was with the fertility clinic to talk through my options about having children after my therapy. They included in vitro fertilization including embryo or egg preservation or hormone induced menopause. By the time I got home I was so tired that I decided to stay home and forget about my workout. So, my mother and I had a deep discussion about my chances of making her a “grandmother”.